Spiritual Readings, Natural Healing, Meditations & Intuitive Guidance. Contact Ann Ross to Book Your Next Appointment. Ann Ross is a professional psychic & naturally gifted healer with more than 30 years of experience in the business. She has been well established in her hometown of San Antonio, Texas and has helped many people from all over the world. She has helped others gain spiritual harmony within their lives by using her accurate psychic insight and authentic healing methods. Psychic Ann Ross may help to remove all obstacles that are standing in your way of finding real happiness & peace. 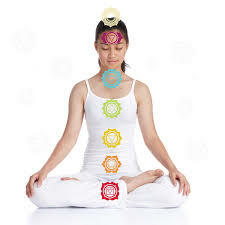 Her spiritual work and natural remedies may help to solve any of your problems. Psychic Ann Ross specializes in love & relationship matters, and can perform a love energy cleansing to help guide you to reunite lost lovers, prevent unwanted divorce or breakups, help you to locate your true soulmate or twin flame, and repair all broken relationships. She may help you to restore your true love and happiness with using her spiritual gifts and abilities. There's no situation too complicated or hopeless for Ann Ross to shed her true light & spiritual guidance on. Ann Ross offers Psychic, Tarot, Aura, Chakra, Palm & Crystal Readings. She is a Spiritual Light Worker, and she will help you to balance your life and find the right paths for you to follow. Together, you will gain more of an understanding regarding your issues. Ann Ross can answer your questions on love, romance, health, finance, career and family in the past, present and future. Her readings are extensive and thorough with many repeat and satisfied clients. She has helped some of the biggest known celebrities in America. If you are seeking answers to the many questions in your day to day life and future, call and let Psychic Ann guide you through all your concerns. Call her now for the answers you need today for your better tomorrow! "I'm Ann Ross, a Love Psychic and Authentic Spiritual Healer. I can guide you to your true love and happiness. I can show you how to obtain superior energy & magnetism to attract success, money, love, health and peace back into your life. I can provide a higher perspective on all the important events in your life regarding love, career, family, well-being, and your personal relationships. My psychic gifts and spiritual work can assist you with LOVE & RELATIONSHIPS, FAMILY PROBLEMS, DEPRESSION, CAREER GOALS, FINANCIAL ISSUES, NEGATIVE ENERGIES, SPIRITUAL BLOCKAGES, BAD LUCK and MUCH MORE. Be protected from your enemies and dark entities that are constantly blocking you. If you have other concerns that are not mentioned, please ask. More than likely, we can address those concerns. After I perform an accurate psychic reading with you to discover any underlying problems that may be affecting your path to success, we can perform custom psychic and spiritual work on your behalf to better help these issues. Just make one phone call for a psychic reading so we can start solving these problems today and get you back on track. It's time to start a new path of success. Do you feel lost, lonely and confused? Have you suddenly found yourself at an unexpected turn in life and don't know which way to go? Are you looking for spiritual guidance or an answer to some of life's more complicated issue? I can help in love, money, health, happiness, peace of mind and stress. Your soulmate and true happiness is waiting for you, so call today, because tomorrow might be too late! There is a difference between Power and Belief of Power. I have mastered many spiritual steps and made many skeptics true believers from my authentic spiritual readings & healing. My psychic gifts and spiritual work have been given to me to help others achieve personal success through natural and spiritual methods. 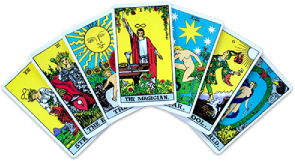 With my psychic insights, I can predict as well as help you correct the current problems that are present. My psychic readings and spiritual work is always private and confidential. I perform psychic readings and spiritual healing services by phone and in-person. I'm located in San Antonio, Texas and service the greater San Antonio area. I also can be hired out to provide psychic, tarot and palm readings at parties, corporate events and social gatherings. Please call for more information regarding any of my services. I'm here to help! If you live in or around San Antonio area and would like to setup an appointment with me for an in-person session, please call me to arrange your reading." © 2007-2019 PsychicAnnRoss.com. All rights reserved.